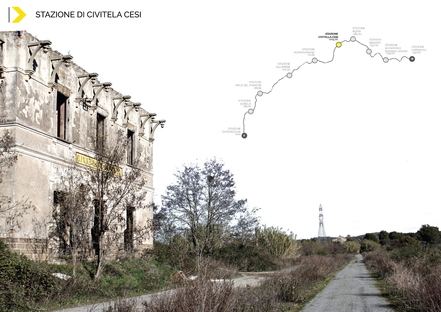 Jessica Tozzi and Alessandra Lomanto’s graduating thesis for the master’s degree programme in Architectural Design at “Roma Tre” University is concerned with abandoned railway lines, and specifically the Civitavecchia-Capranica line in Lazio (Italy). 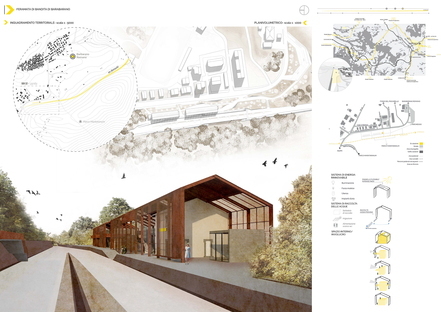 The project is a rail to trail project transforming the former railway line into a greenway. 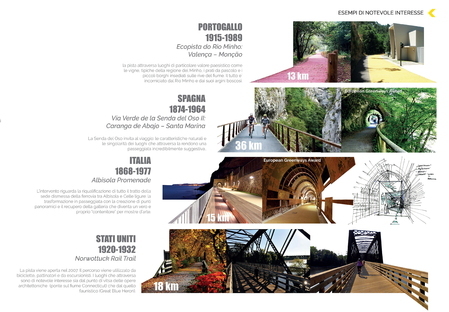 The proposal, which focuses on three specific segments of the railway line in Lazio, was selected as the winner in the Research category by the judges of the international Next Landmark contest held by Floornature. 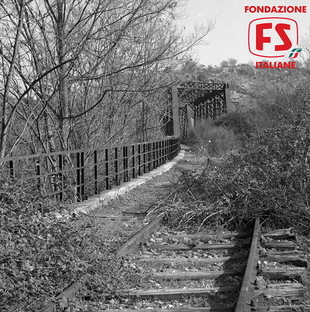 The study begins with in-depth analysis of Italian railway routes, taking a census of abandoned and unused railway lines and analysing them in comparison with significant examples of successful greenways all over the world, from Portugal’s Ecopista do Rio Minho to the Via Verde de la Senda del Oso II in Spain, from the Albisola Promenade in Italy to the Norwottuck Rail Trail in the United States. 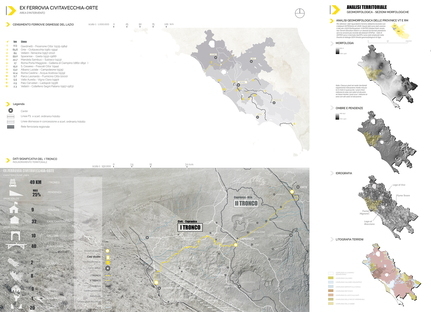 Like all greenways, Jessica Tozzi and Alessandra Lomanto’s project pursues the goal of ecological regeneration of a section of infrastructure and creation of new migratory flows making the most of the area’s particular features. 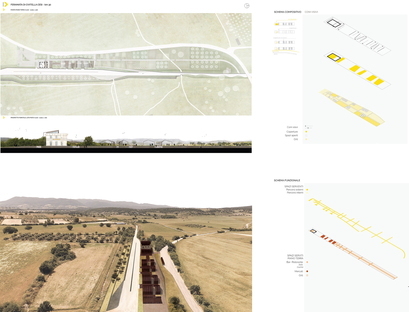 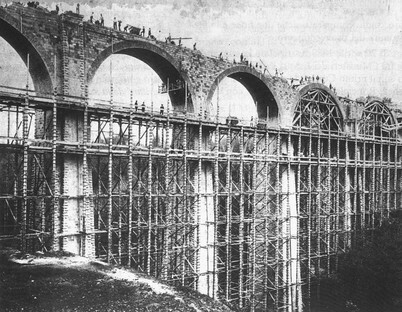 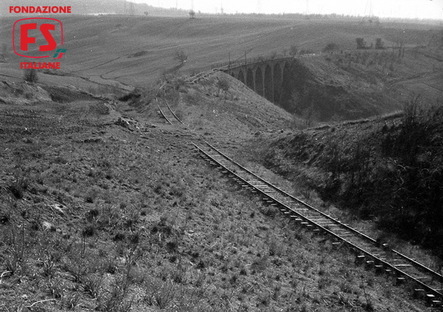 In selecting the railway line and landscape to work on, the architects analysed the Civitavecchia-Capranica segment using study models, including a video taken from the air by a drone, and tested the route on foot and by bicycle in order to identify critical points. 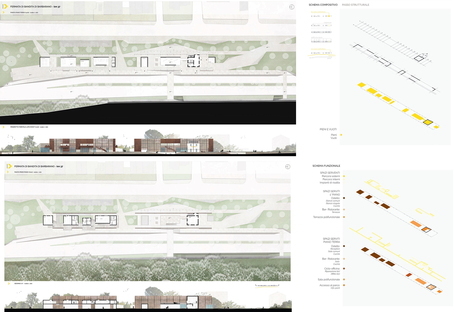 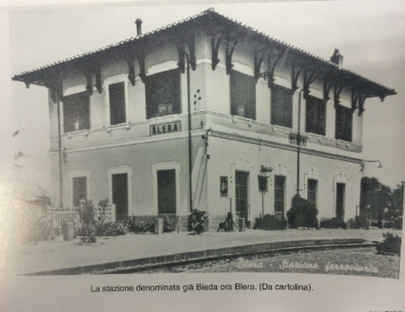 Finally, they focused their attention on three stations and the sections of rail between them: the former stations of Bandita (km 37.7), Blera (km 34.3) and Civitella Cesi (km 30.6), developing an economic strategy focusing around the concept of the multi-building hotel. 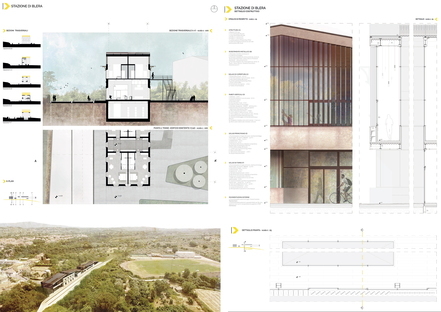 As the area they worked on was already contemplated in the Ministerial Document for Internal Areas, the thesis took this as its starting point, developing basic services for an economic strategy. 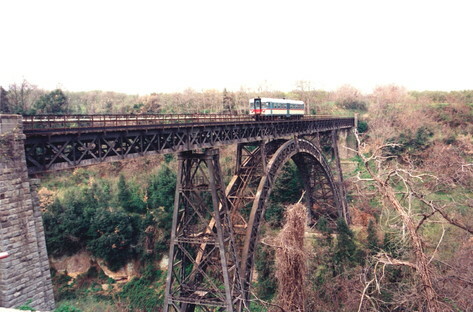 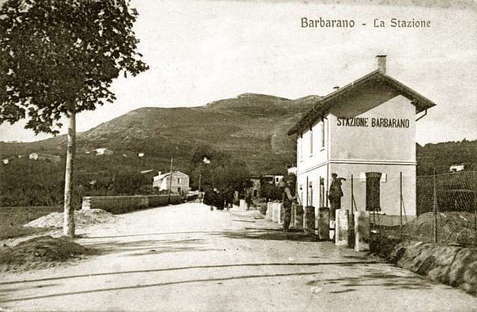 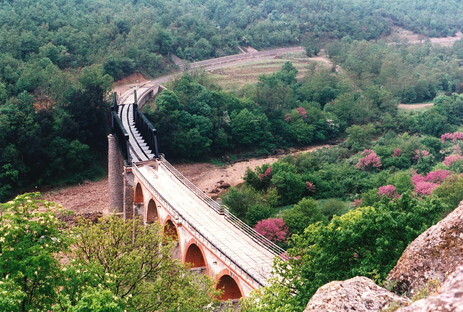 The authors analyse a 49-kilometre rail segment complete with archaeological, productive and naturalistic attractions, featuring a wooded, green landscape near Capranica, followed by crops, wheat fields, fruit and hazelnut orchards, villages and archaeological sites, followed, closer to the sea, by vineyards, hills, and finally flatlands. 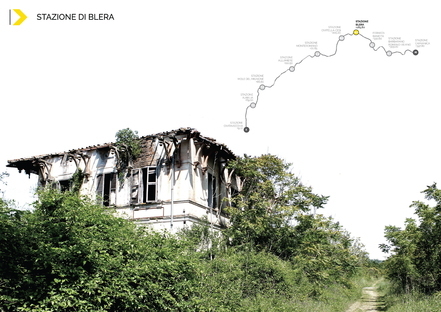 The stations they looked at serve as connections between the past and the present, between memory and future potential, between the people who still live in these places and who make a living there, add value to the territory and welcome visitors, and the people who visit them, contributing to a type of tourism which is particularly popular today: experiential tourism. 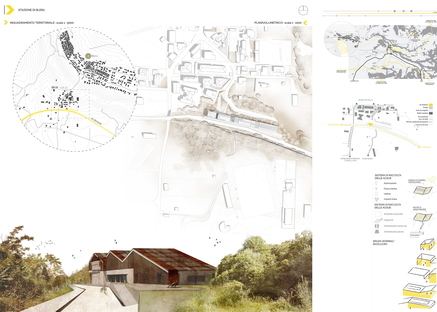 In the project, which begins by making the infrastructure safe for use, the architects first aim to reclaim the buildings, the landscape and the access points to the trail, providing info points, visitor services, food services and parking lots. 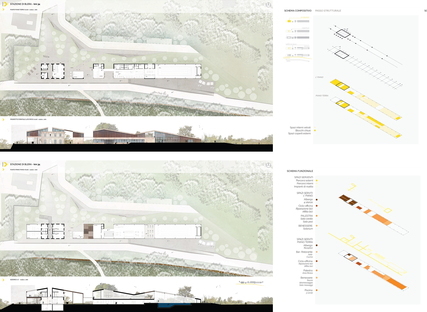 Then they plan to provide overnight accommodations, places where visitors can sample traditional local products, points of sale for local crafts and sports facilities. 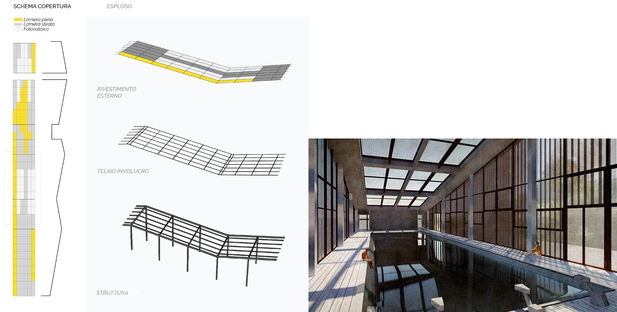 The architectural project is based on use of metal as a cladding material, sheet metal over covered areas, photovoltaic sheeting and metal mesh that lets light through. 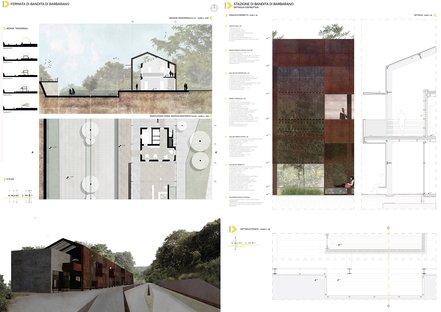 Industrial style cladding, in bold contrast with its surroundings yet easily able to integrate into them, lightweight and transparent to light, to be covered by climbing plants with time.